Can the rest of the world please follow suit? (SPOT.ph) Even the littlest of things go a long way in eliminating gender bias in our society. 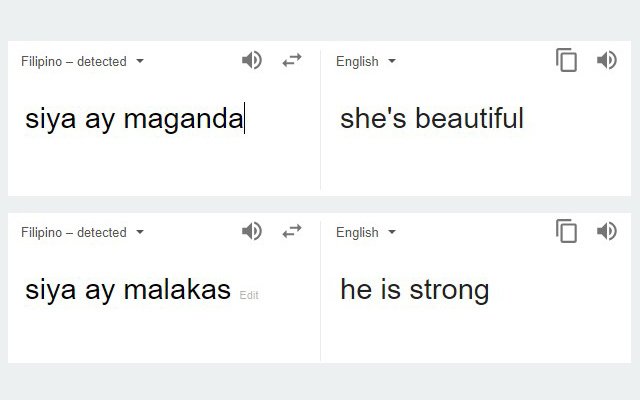 Thankfully, Google Translate will soon be more gender-sensitive when translating other languages into English! 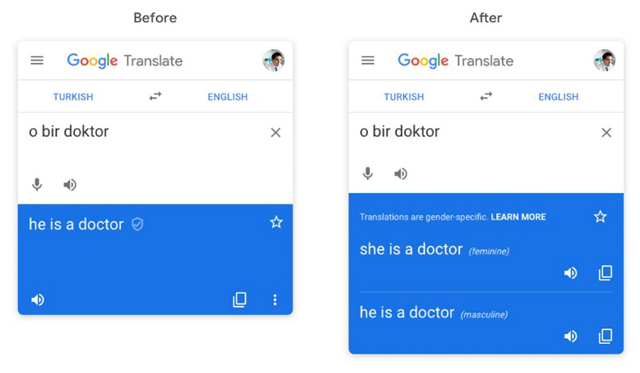 Product Manager James Kuczmarski made the announcement in a blog post on December 6, saying that developers are tweaking the Google Translate website so that it can provide different variations of a translated phrase. 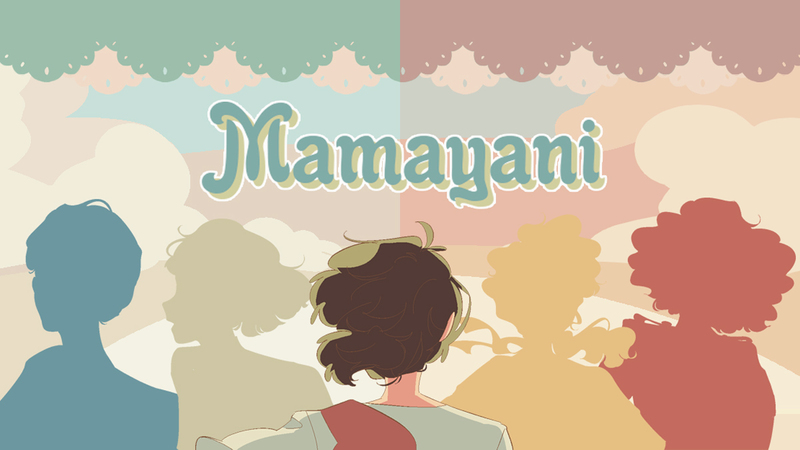 Now, both feminine and masculine translations will be provided. 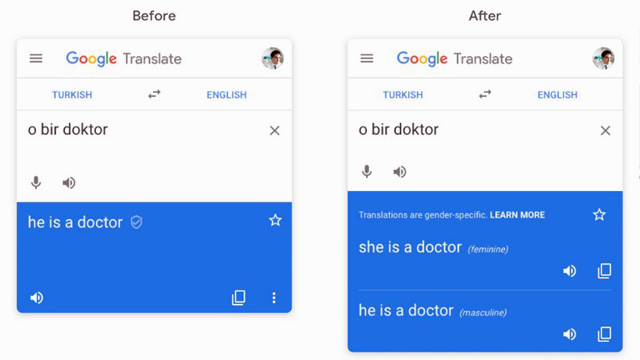 But as of writing, the gender-sensitive translations are only available when translating to English from French, Italian, Portugese, Spanish, and Turkish on the website. 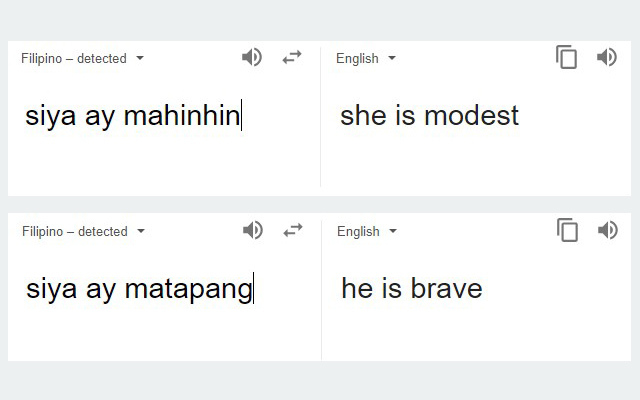 It's not yet available for Filipino to English translations. However, Kuczmarski said they’re planning to include more languages and thinking of ways to address non-binary gender in translation. In fact, they’re also thinking of ways to curb gender bias in features like query autocomplete when typing words in the Google search bar.